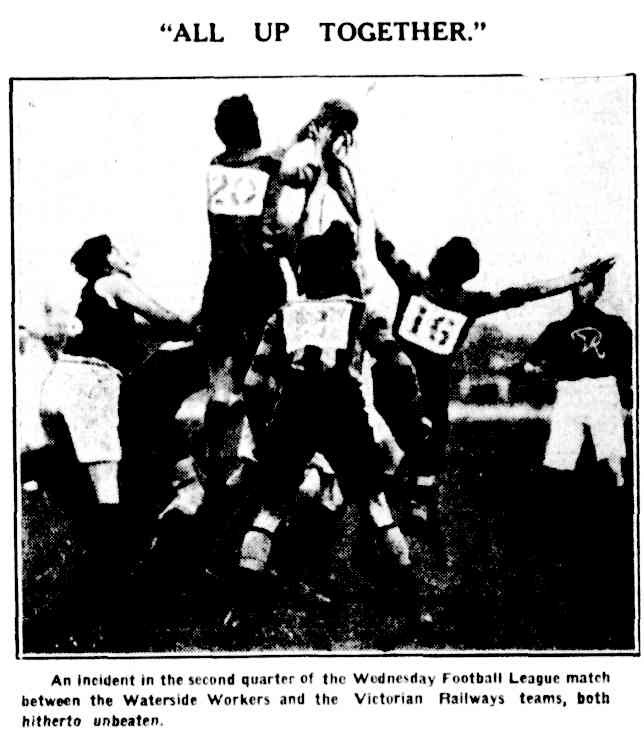 The Wednesday League was a Melbourne based inter-workplace league. 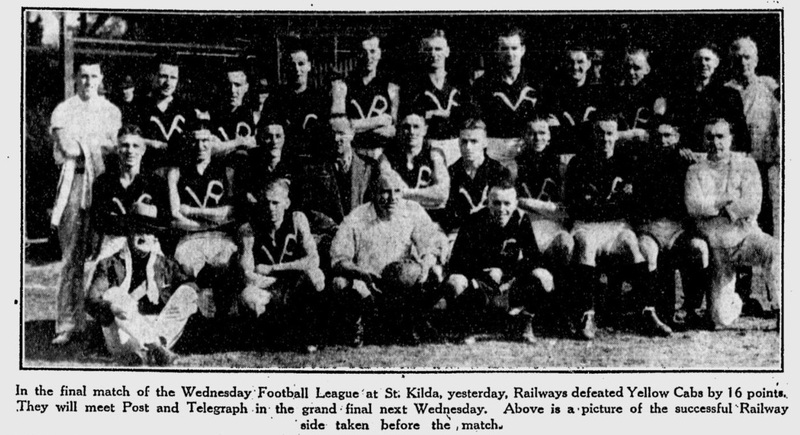 The league contained a number of teams with unionised workplaces. 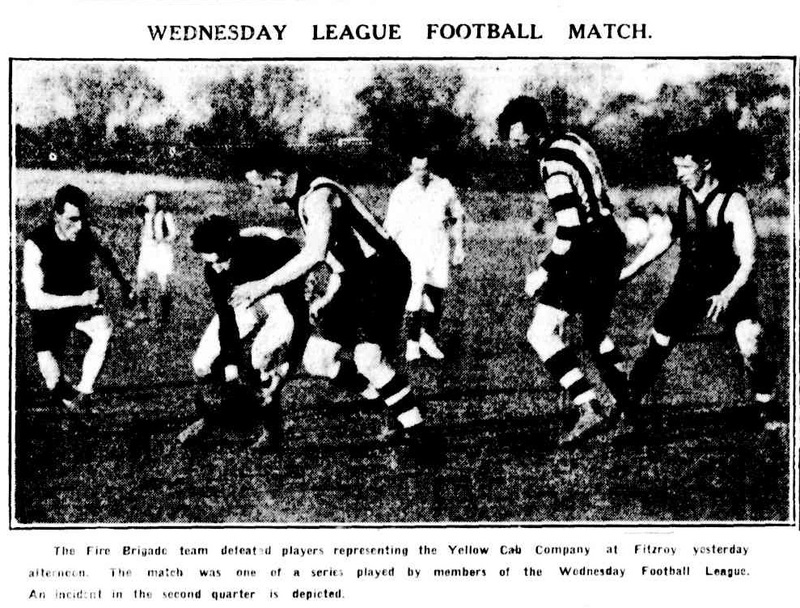 This factor caused major disruption to the league with the entry of a police team in 1926 due to the use of police in strikebreaking activities. 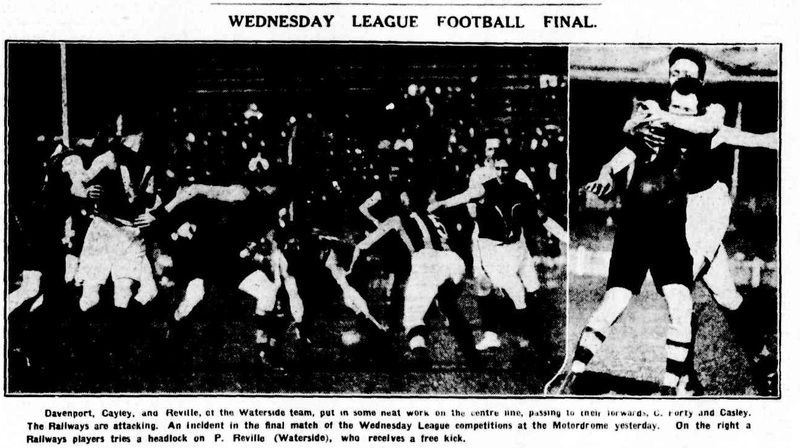 The top teams during the life of the competition were the Metropoliton Fire Brigade and the Railways teams. 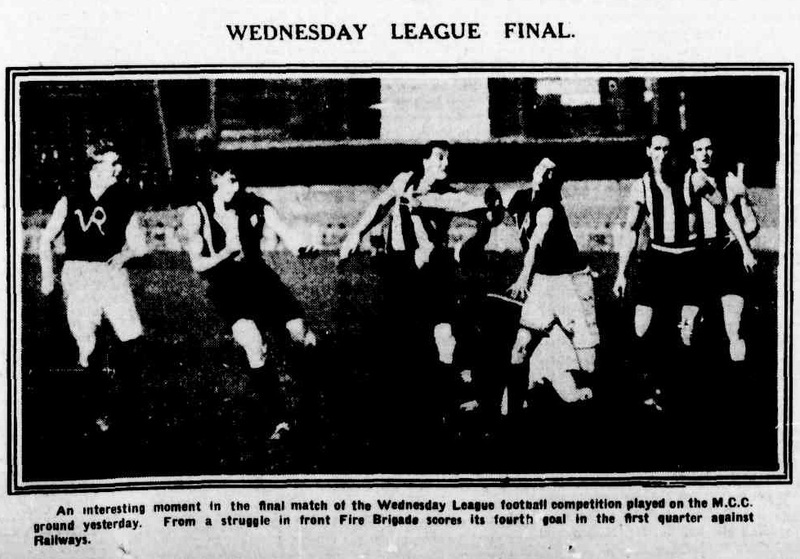 The competition ended in 1934 for a variety of reasons including the loss of the fire brigade team, a competition mainstay and disputes over player eligability, as clubs struggled to find players. 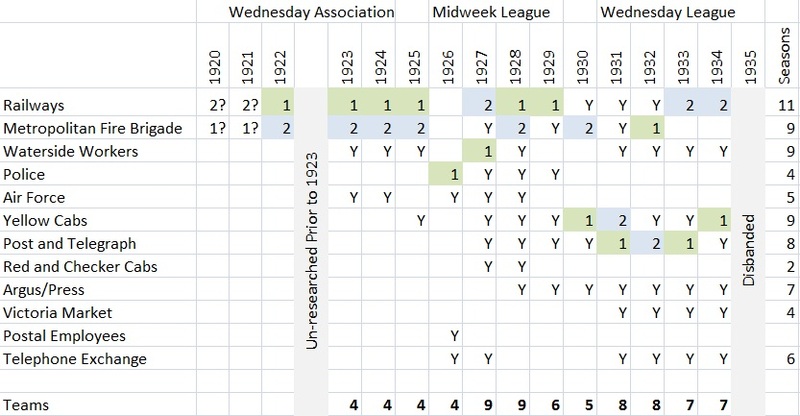 The table below provides a summary of teams involved in the Wednesday League. 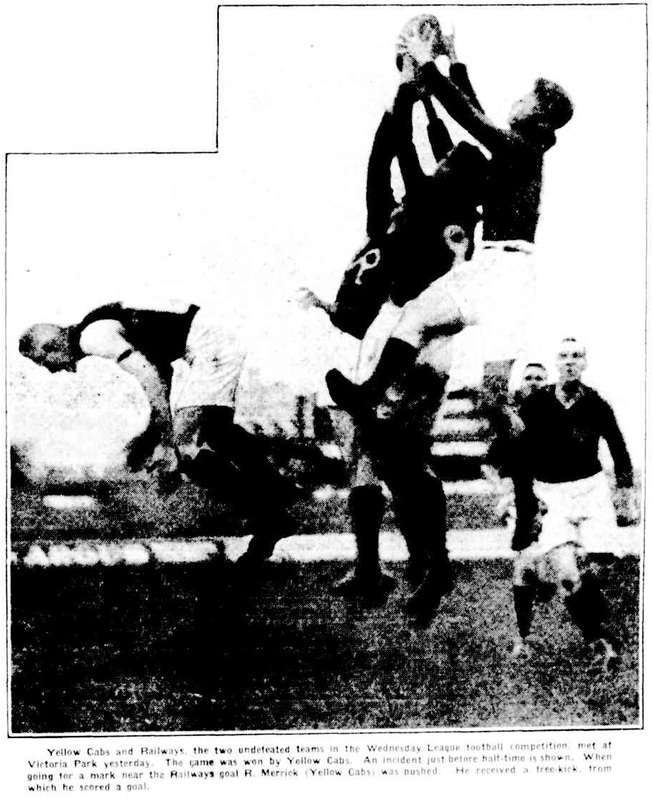 The numbers 1 and 2 indicate the Premier and runner up for that year. 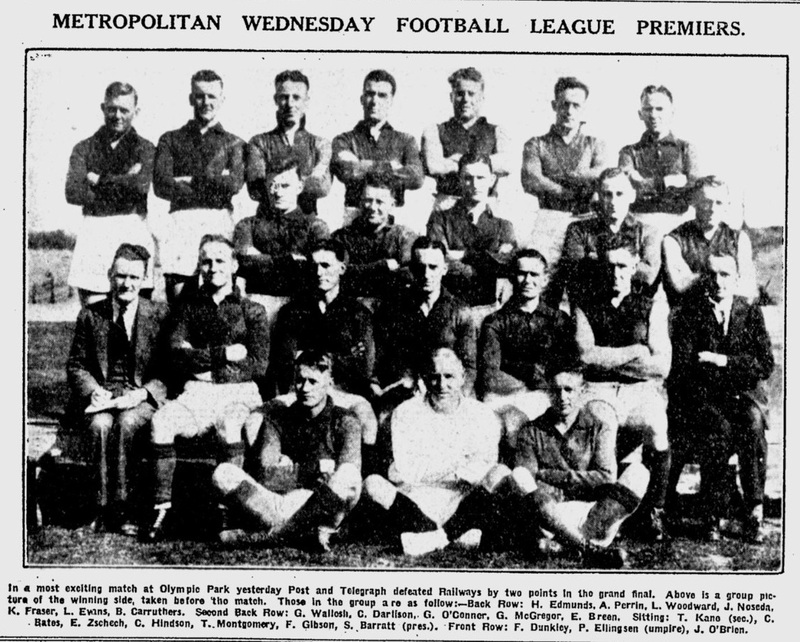 Note - The 1926 season saw many teams not participate and the League effectively disbanded with an alternate 'Midweek League' run instead. 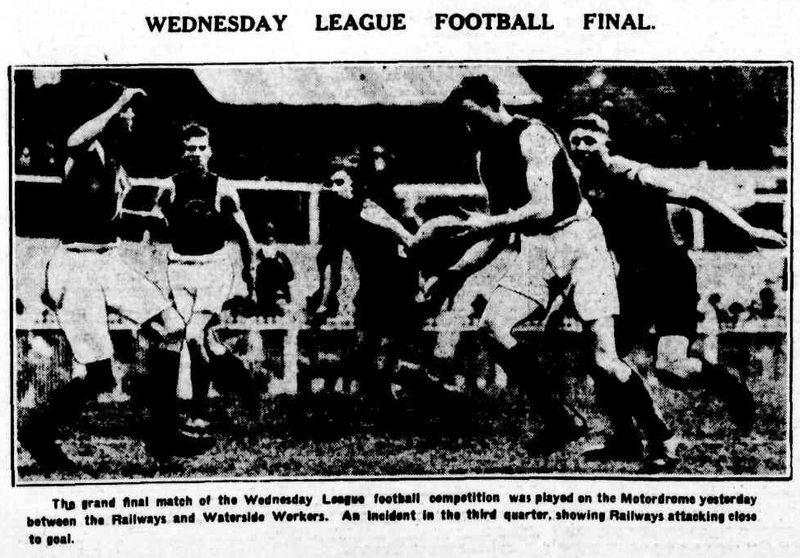 Peter Bourke's 'A social history of workplace Australian football, 1860–1939' is available online and provides a useful section on the Wednesday League. 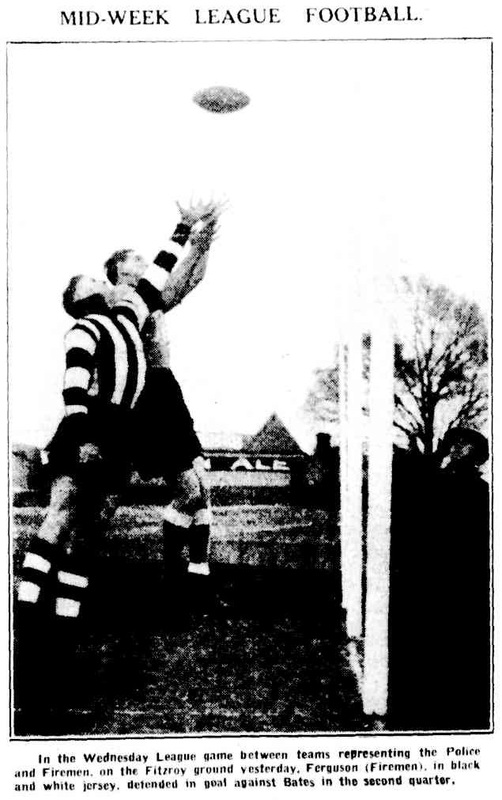 A few quotes provide a brief insight into the league. 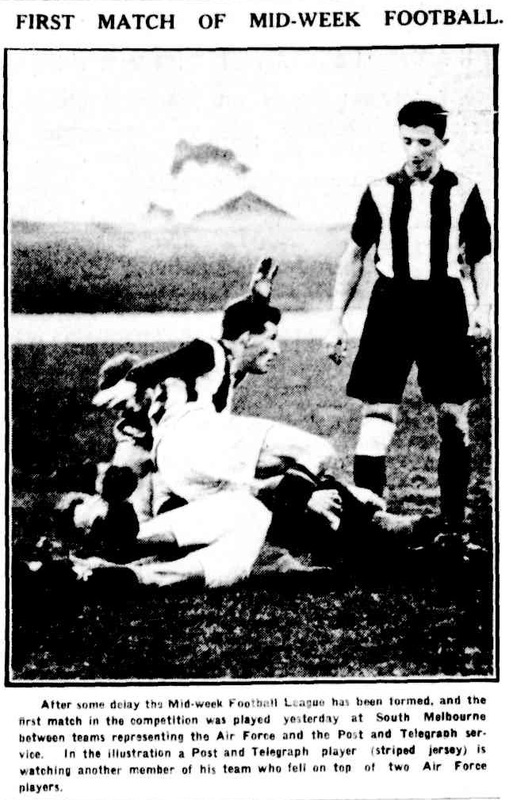 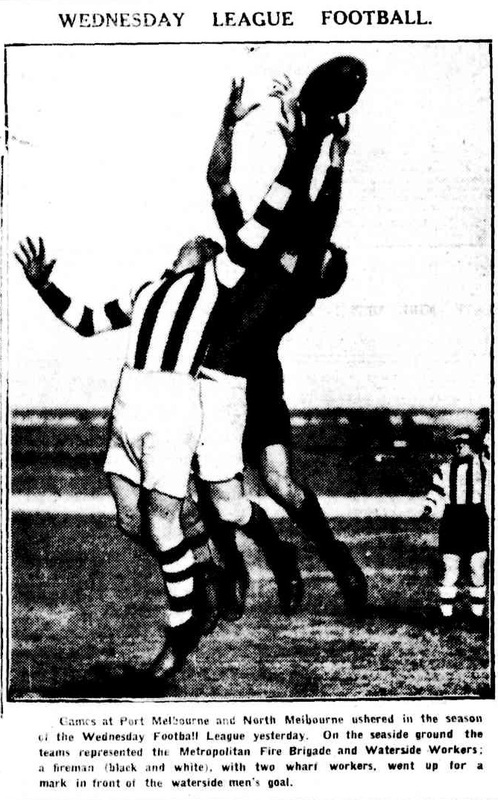 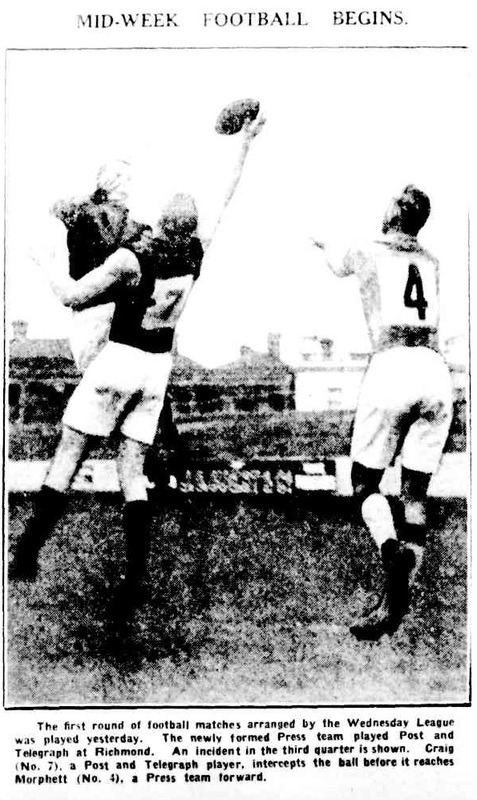 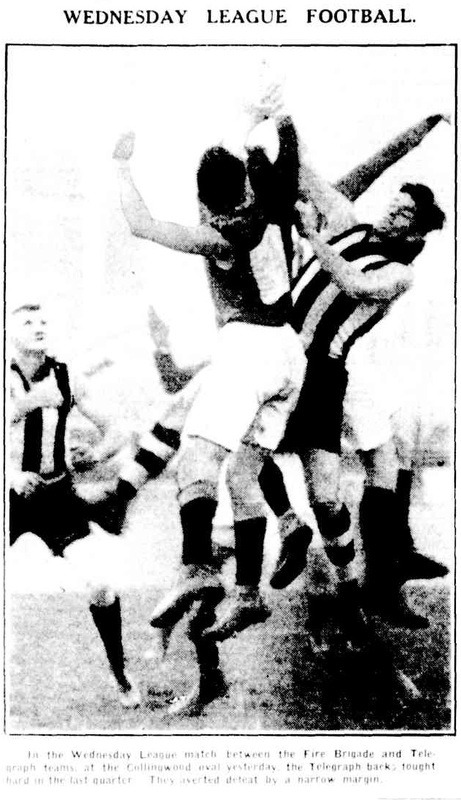 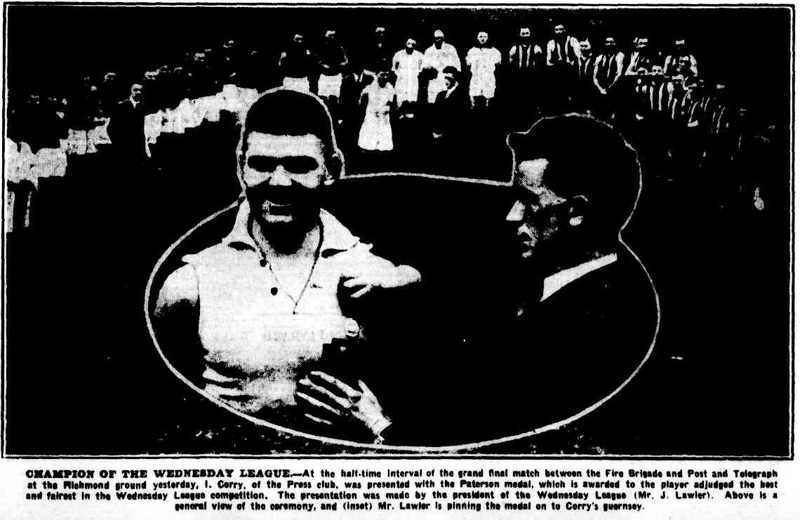 A few well known faces in the Wednesday League were Press;Greg Stockdale (Essendon, Coburg) and the Fire Brigade; Garnet Campbell (Essendon), Len Webster (Essendon) and Yellow Cabs;Jack Dyer (Richmond) and Waterside Workers; Peter Reville (South Melbourne), though there were many others.